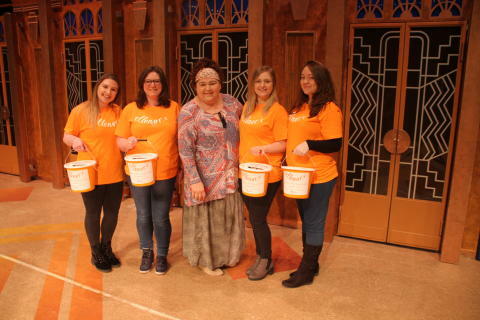 Thanks to generous audiences at The Orchard Theatre in Dartford, £1,954.97 was raised through bucket collections following two showings of the comedy musical that celebrates women and ‘the change’. 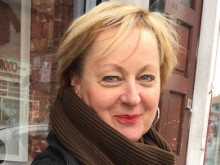 Following the previous sell out UK and Irish tours in 2008, 2010 and most recently 2016, 'Menopause the Musical' is currently touring the UK this Spring with an all-star cast - the show was hugely popular in Dartford. The show features our wonderful patron, ex-Eastenders' actress Cheryl Fergison. Cheryl supported ellenor at the Dartford shows on Sunday 20 March, promoting us after each performance with a heartfelt speech about her connection with ellenor. Cheryl said: “I always love returning to the Orchard stage. As patron of ellenor I know how important their work is to families facing terminal illness and it was wonderful to see the audience dig deep into their pockets to support such a worthy cause”.